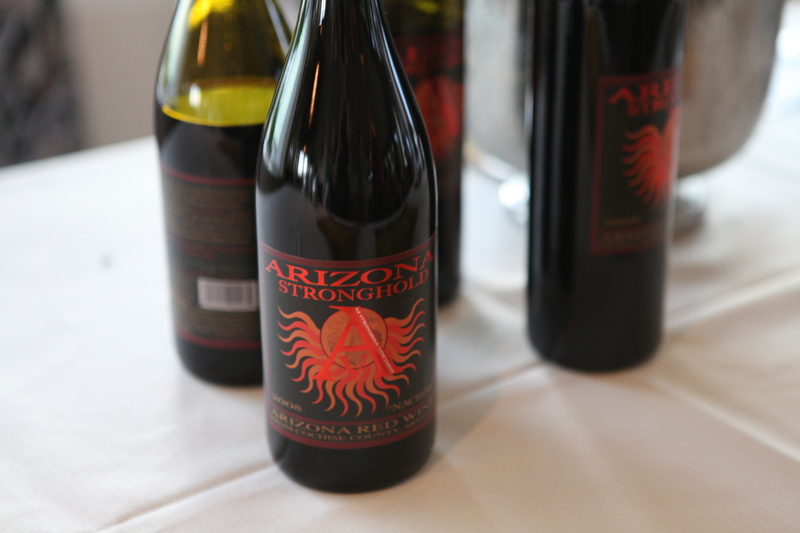 I recently tasted these 4 wines from Arizona Stronghold at the famous Wrigley Mansion. See my article on that event HERE. This was the first wine of the evening, and I think it is perfect for that purpose. A good balance between the crispness of the Sauvignon Blanc and the sweetness of the Riesling. It’s not to dry and not too sweet. Delicious! That is my single tasting note. Light, crisp and refreshing. The fruit is predominantly Strawberry and Cherry with a hint of terroir vaguely French in nature. The Blend: 55% Cabernet Sauvignon, 36% Sangiovese and 9% Merlot. Another interesting wine, I found it to be quite powerful. If you like the bigger bolder reds this will be the wine for you. The style is a lot more subtle than an Australian fruit bomb or a highly extracted Napa Cab. 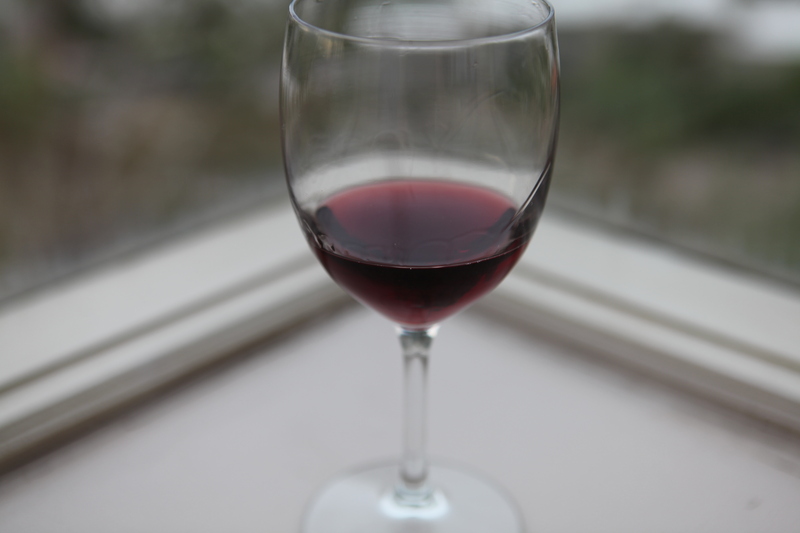 A dry red wine, the fruit is predominantly cherry with earthy components and a strong backbone of acidity. This is a wine a could drink all night long, without having to switch to something else. Why? Great dark fruit, blackberry blue berry, very smooth fine tannins and a very interesting component that can only be described as Juniper and or pine. The wine is French in nature, more specifically Rhone. Once again, not a highly extracted fruit bomb, which is a welcome change for my palate. Great supple mouthfeel and nice long lingering finish. At 14.7% I would have expected more heat from the alcohol but I was pleasantly surprised, the heat is kept in check, and the alcohol provides plenty of lift for the aromatics. Great to see you last week! 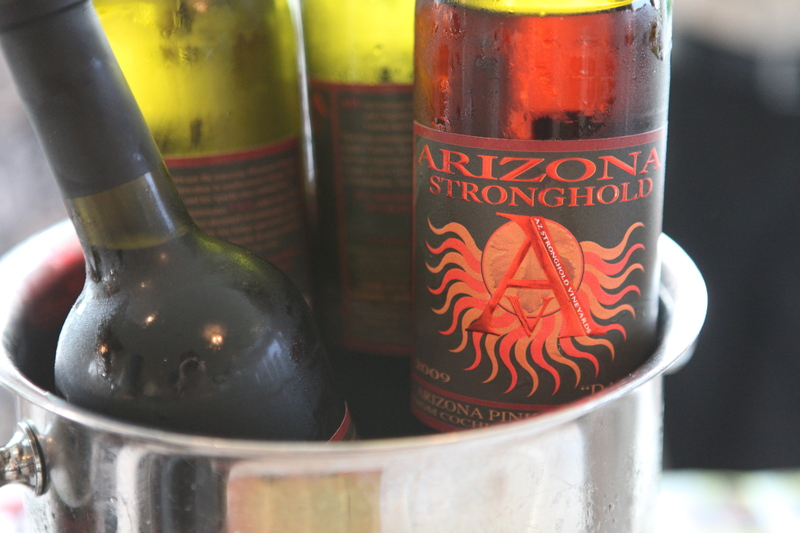 Did you hear AZ Stronghold has released Site Archive wines in their tasting room? The whites are available now, but the reds will be out soon. I was quite impressed with the Sauv Blanc and Malvasia!